From the exquisite Montblanc collection, these sleek circular cufflinks are crafted in stainless steel and set with a black onyx inlay for a polished finish. Bearing the iconic brand signature and white star logo, these masculine accessories are the ideal addition to his professional wardrobe. 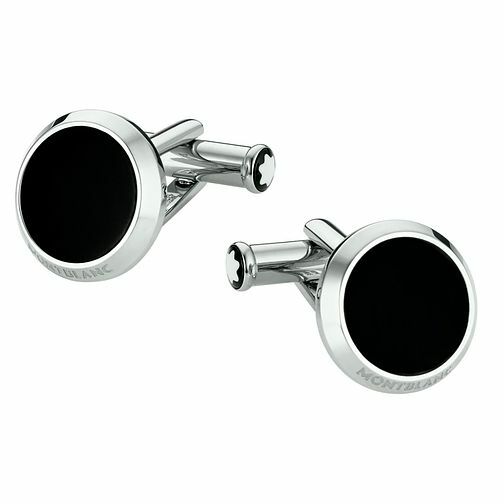 Montblanc stainless steel black onyx round cufflinks is rated 5.0 out of 5 by 1. Rated 5 out of 5 by Anonymous from Great customer service. 5* service, delivery and product. Would absolutely recommend.